The California earthquake of April 18, 1906 is one of the most significant earthquakes of all time. The earthquake ruptured approximately 296 miles of the San Andreas earthquake fault from Northwest of San Juan Bautista to the triple junction at Cape Mendocino. At 5:12 AM local time, a shock brand throughout the San Francisco Bay area. Approximately 20 to 25 seconds later, violent shocks shook the city. The epicenter of the earthquake was right near San Francisco. The earthquake was recorded in Gottingen, Germany, 91 km away! The casualty accounts vary widely, but it is generally accepted that more than 3000 people died in the event. A 1906 U.S. Army report recorded 498 deaths in San Francisco, 64 in Santa Rosa, and 102 deaths near San Jose. The population of San Francisco in 1906 was approximately 400,000. 225,000 people were left homeless, over one half of the population. 28,000 buildings were destroyed, and tent cities became the abode for many. Broken and leaking gas lines were the predominant cause of fires in the city. The fire department was at a disadvantage in fighting the fire. Fire Chief Dennis T. Sullivan died in the earthquake, leaving the city’s firefighters without effective leadership. It is reported that the firefighters used dynamite to destroy selected houses in an effort to stop the spread of the conflagration. Unfortunately, the explosions created more damage. Water mains below the city streets were rendered useless because the earthquake ruptured the pipes, causing the water pressure to drop to unusable levels. It is also believed that some people set their own houses on fire in hopes of insurance compensation for fire. Insurance companies at the time did not indemnify policyholders in the event of an earthquake, but did for fire. 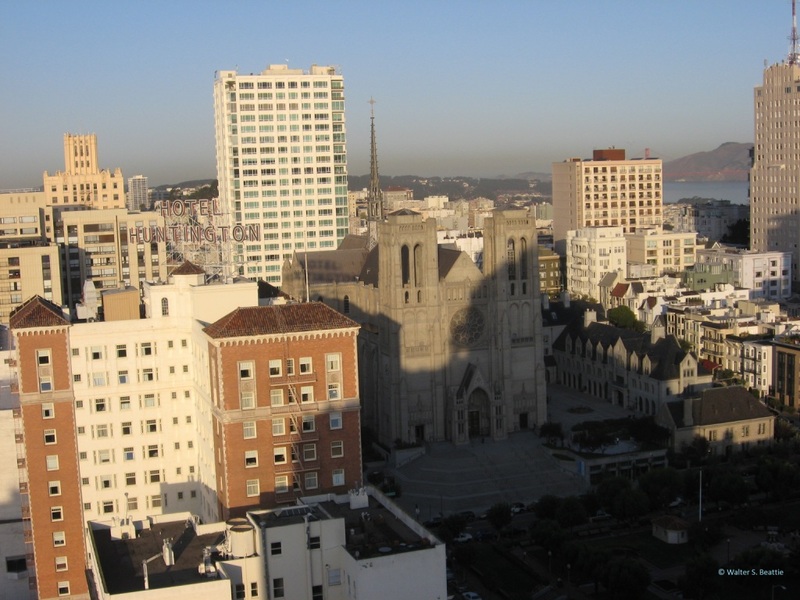 Many experts claimed that 90% of the damage in San Francisco was as a result of the ensuing fires. Approximately 490 city blocks were destroyed! The city was in a state of disarray with thousands homeless, tent cities springing up, and lawlessness running rampant. Eventually, the U.S. Army was activated to assist with the cleanup and control of the city. San Francisco began rebuilding immediately. Reconstruction was mostly completed by 1915, nine years later. This entry was posted on Wednesday, April 18th, 2012 at 12:30 pm and is filed under Uncategorized. You can follow any responses to this entry through the RSS 2.0 feed. You can leave a response, or trackback from your own site.